County Line Trucking Ltd. is a large private transportation company established in 2004 based out of Wilmot, New Brunswick. County Line Trucking is renowned for providing many years of excellent logistics services with a focus on quality and efficiency. Transporting goods and materials you use in your everyday life across North America with incomparable service. Since establishment in 2004 County Line Trucking has developed countless valued relationships with their customers. 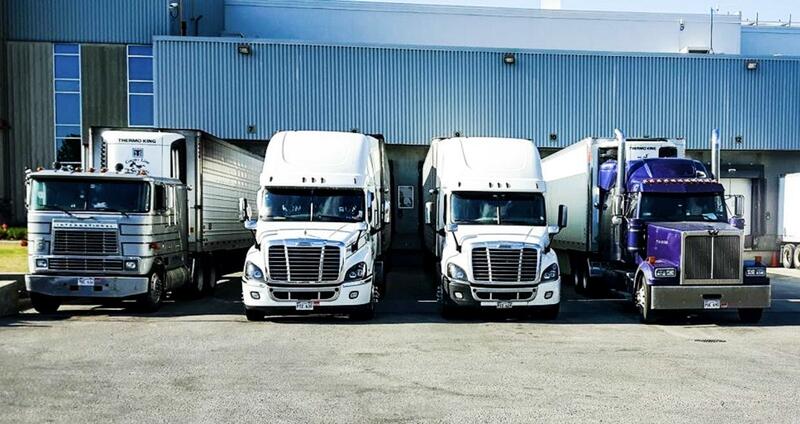 The eagerness to continue development and efficiency is what makes County Line Trucking stand out from the rest. Our commitment to safety ensures that all equipment of is maintained and operated safely and at the same time reducing our carbon footprint. County Line Trucking is a leader in the industry and recognized for its high safety standards and low number of accidents. It is evident from County Line’s high level of employee commitment that it is everybody’s mission to arrive home safely at the end of the day to their families. Strong family values can prove extremely productive in business and at County Line Trucking Ltd. our values are what drives us and is what has made us successful throughout the years. We continue to be driven by the values our business was built on and know that values play a very important role in the strategies of the business and how important decisions are made.